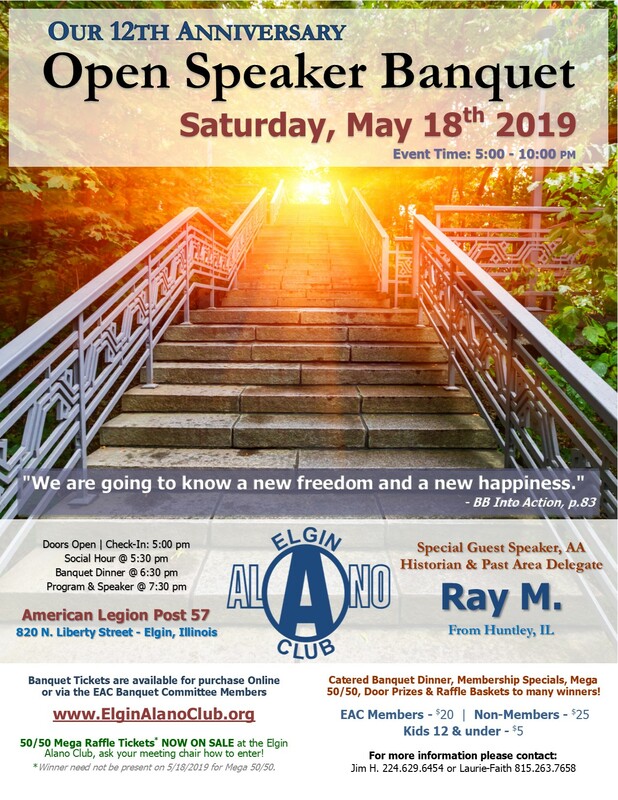 The Elgin Alano Club, Inc. is a not-for-profit* corporation dedicated to serving the needs of the recovery community in Elgin and the surrounding areas. Our mission is to provide a safe environment where the people participating in twelve-step recovery programs can meet, socialize and find support for their efforts. Our membership is open all members of any 12-step program. "Whether you're in recovery, seeking help from any addiction, family or friend, all are welcome in these rooms"
Help support YOUR Club for the next newcomer! Make a monetary gift with your Tax-Deductible Donation to help keep the lights on! Keep in the know on what's happening at the club, celebrations for our members and upcoming events!